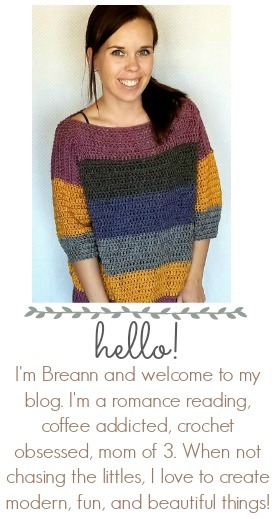 This comfy, easy to make Everygirl Crochet Sweater is the perfect addition to your fall wardrobe. 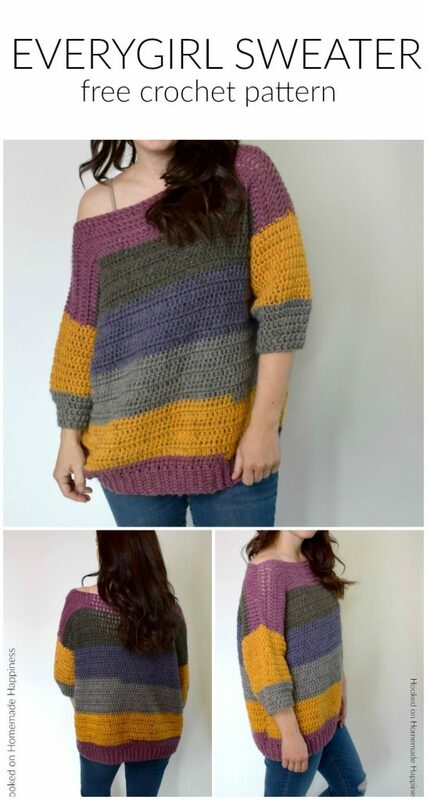 I used 2 Caron Cakes to make this sweater. When picking out my skeins, I made sure to find ones that had the same starting color so the stripes on the front and back out (almost) match up. 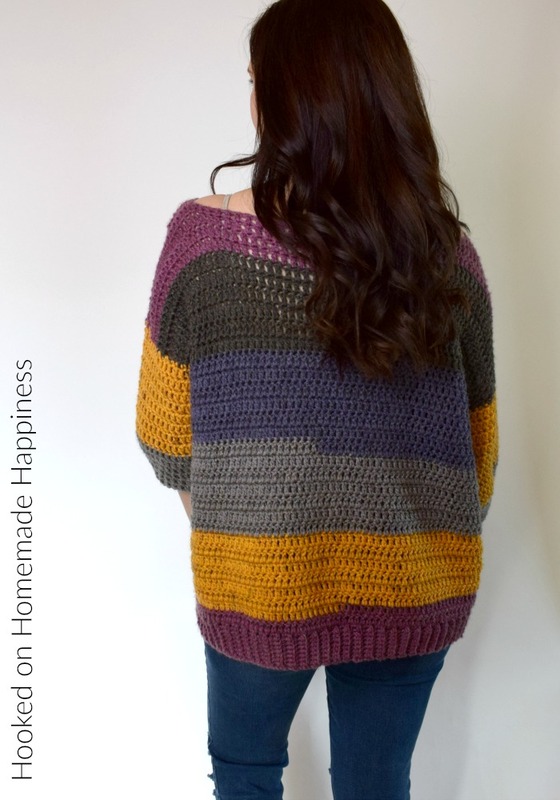 I also made a toddler version of this sweater, The EVERYKID CROCHET SWEATER! 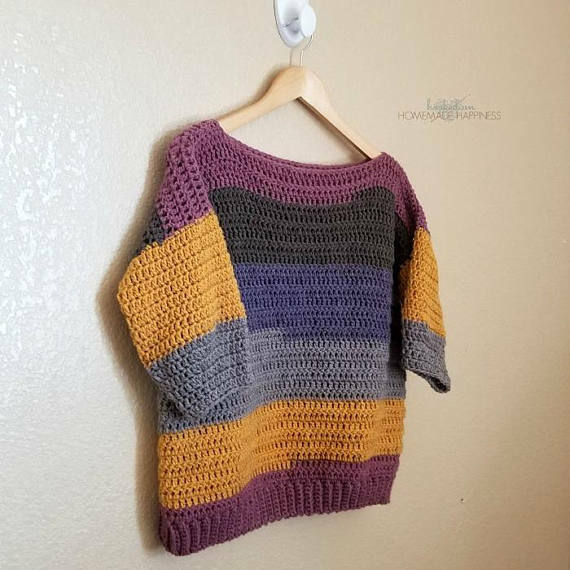 It’s basically the same pattern as this adult sweater, just written smaller in toddler sizes. The pattern is in 2T – 5T. 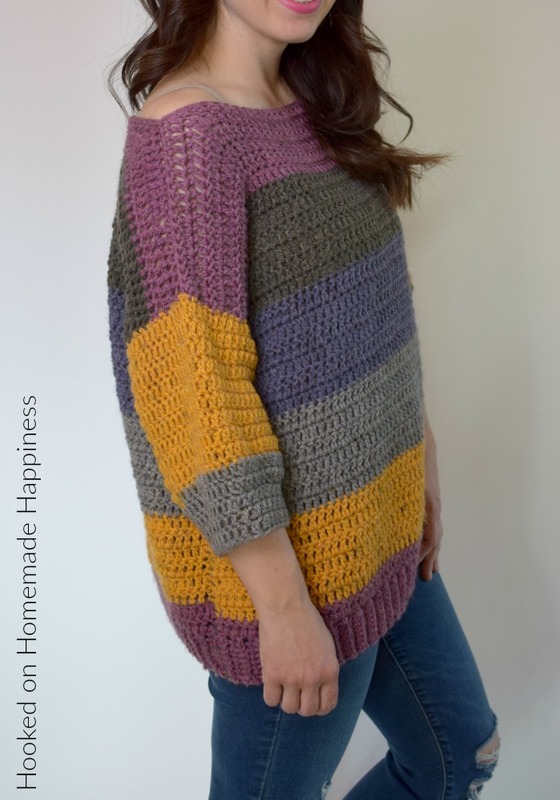 – Get the free pattern below or this pattern is available as an inexpensive, clearly formatted, PDF instant download in my Etsy Shop or in my Ravelry Shop! 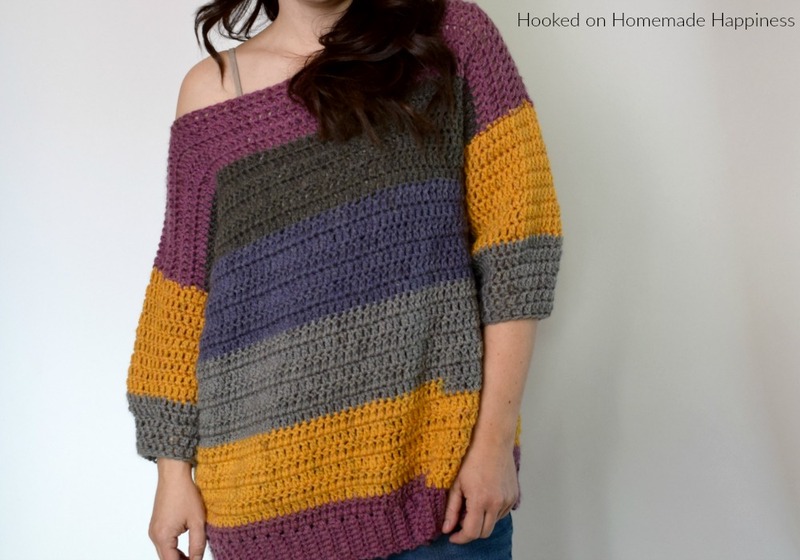 NOTE: Because there is almost no shaping in this sweater, it can be customized to any size. Lay your panels on top of each other. Use stitch markers to line up the rows and mark where you will sew the pieces together. First, using a piece of yarn twice the length you will sew and yarn needle, sew across each shoulder, leave a hole in the middle for head (I held a panel up to myself to gauge where I wanted the neckline to be, then marked with stitch markers). Then, sew down the sides, leaving space for armholes (I pulled the sweater over my head to gauge where I wanted the armholes to be and marked with stitch markers). I like the sweater, what size for a 49′ bust? Thanks! I think the XL or Plus would work? I would take something from your closet, measure it, and then compare to the sizes here. I hope that helps! I just don’t want to tell you the wrong size. I love the yarn you chose! The pattern looks so easy to follow. Thanks for sharing it! 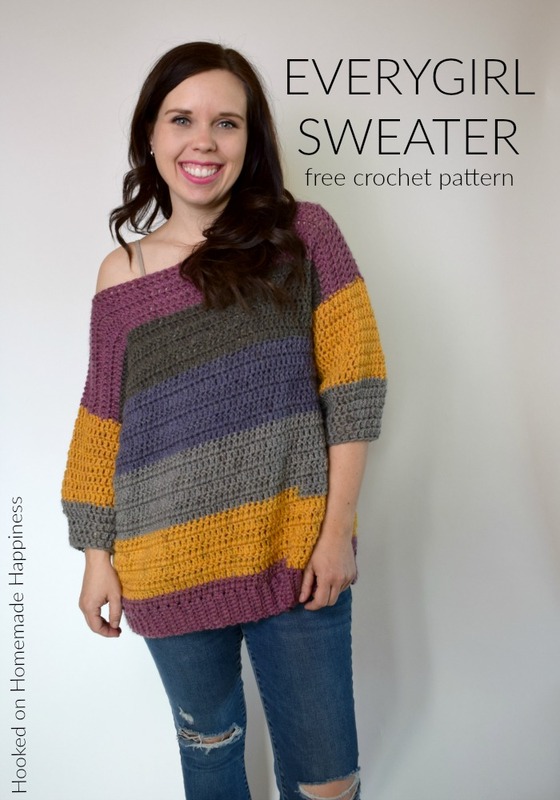 I have never made a sweater before this pattern. Now I have made 2 sweaters in 2 weeks! I can’t wait to make this!! It’s incredible. Can I ask what size you have on in the photos? Thank you so much! I should’ve read better. Speaking of which, do you remember how many stitches wide you made your arms? I left about 10 inches for the armhole. The sleeves are 43 stitches around at the top. 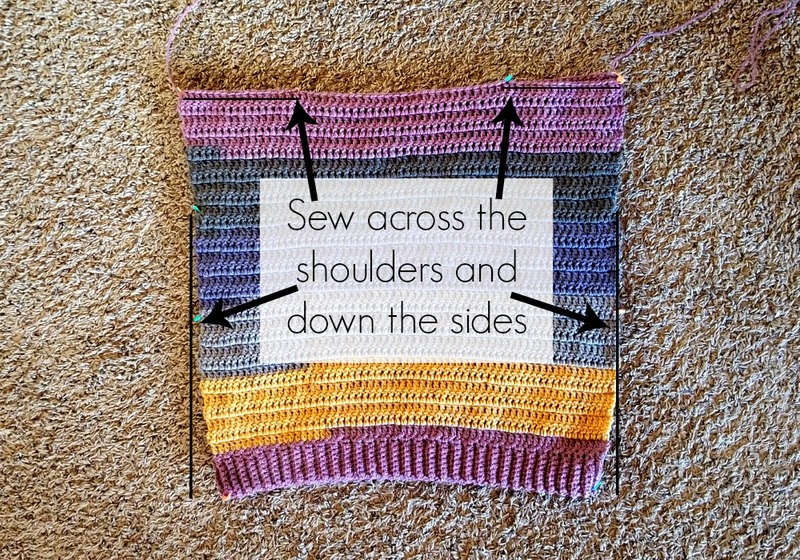 First, thank you for sharing this pattern! I’m really loving it so far. 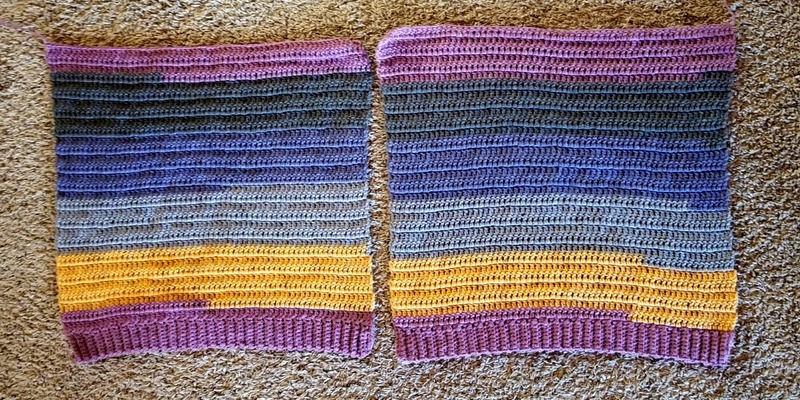 I do have a question about the direction for row 10 for the sleeve. What does “repeat from * to * around” mean? Do I need to continue with the decreasing stitches all the way around or make only 5 decreasing stitches? 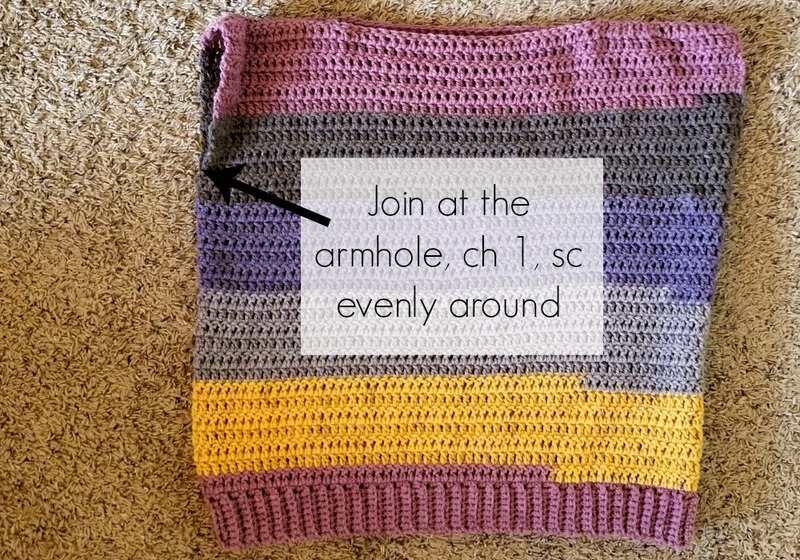 Sorry, I’m new to reading patterns so I’m not quite understanding the directions. How did you get the sleeve stripes to match from one cake? I used 2 cakes that had the same starting color. I used one for each side. So the leftovers from both cakes were the same. I used one for each sleeve. I hope this makes sense!